Myshall Guild is situated in the foothills of Mount Leinster. Approximately 14 kilometers from Bagenalstown, 24 kilometers. Carlow. 8 kilometers from Bunclody Co. Wexford. It was in the year 1967 (May 17th) that a group of women came together to discuss the possibility of starting an I.C.A. Guild. There were 42 women present. This meeting was addressed by Mrs. Eileen McDonnell the federation president of the day and Miss A. Butler an I.C.A. organiser. Miss Butler gave the history of the association. At that time there were 22,000 members in the association nationwide. She stressed for a guild to survive good co-operative, happy, healthy spirit was necessary. This we have in abundance to the present day. The women decided to form a Myshall I.C.A. Guild. Subscription was placed at 10/= each person per year. The monthly meetings were held in the parish hall on the 3rd Wednesday of each month at 8 PM wintertime and 8.30 PM summertime. The programme for the first meeting was arranged. Mrs. Farrell would be invited to give a demonstration. The Guild is involved in activities such as an annual Children's Christmas party. Senior citizens outings and Christmas parties and Teenage dances. Several of our members have Brannera awards for different skills undertaken within the organisation. These include Crafts, Irish and traditional Crochet, lace work, patch work, quilting, macramé weaving and basketry. Flower arranging is very popular at the moment. Margaret Whelan has a teachers award in Lumra also Ann Eustace has a teacher's award for Cotton and wool Crochet. Phil Lennon while Federation crafts promoter introduced its members to the needle skill of Mountmellick work and was involved in the reviving of the Borris lace. Both of these skills are being taught within the federation to this present day. Members have achieved awards in Public Speaking. 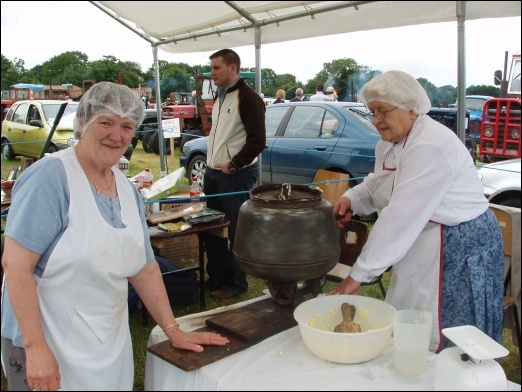 One of our members supplies the local country market with cakes and country butter. Myshall Guild together with Muintir na Tire started an annual Dinner Dance held in the Slaney Hotel, Tullow. This proved very popular over the county for a number of years. 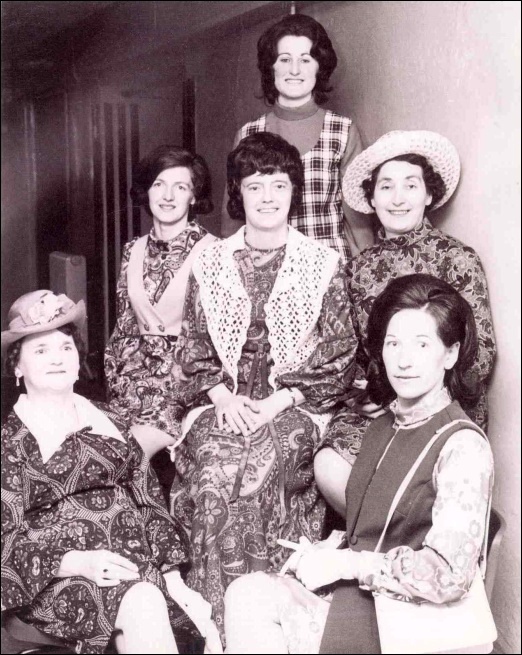 Myshall guild won the Eleanora Gibbon Drama competition on two occasions. 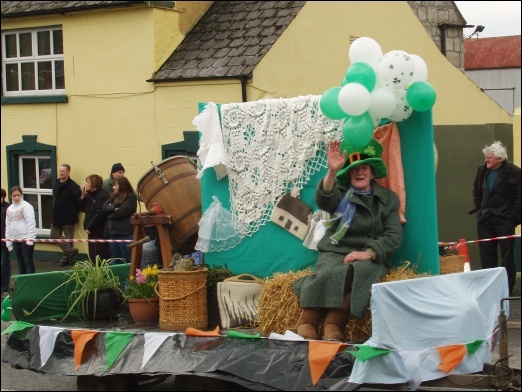 They also represented the Federation at National level in the Patsy Lalor Set dancing competition on a number of times. Myshall has won several Tullow Show I.C.A. competitions including the 45th anniversary celebrating the Tullow Show. Also to their credit was a win in the A.I.B. competition 1991. While Ina Broughall was National president she visited Myshall and planted a tree to commemorate the 75th anniversary of I.C.A. Myshall Guild go on an annual Summer trip of 4/5 day duration. These trips have taken our members and non members to places such as Wales, Scotland, Northern Ireland and several counties in the republic. Over the years Myshall Guild has raised money through whist drives, cake sales and raffles tickets and most of this money is donated to various charities e.g. Cancer Society, BEAM Centre Bagenalstown, Senior Citizens Committee and the Blind Association. For further information visit the official I.C.A. website.